There’s a new Bachelor Nation baby on the way, and we can barely contain our excitement. 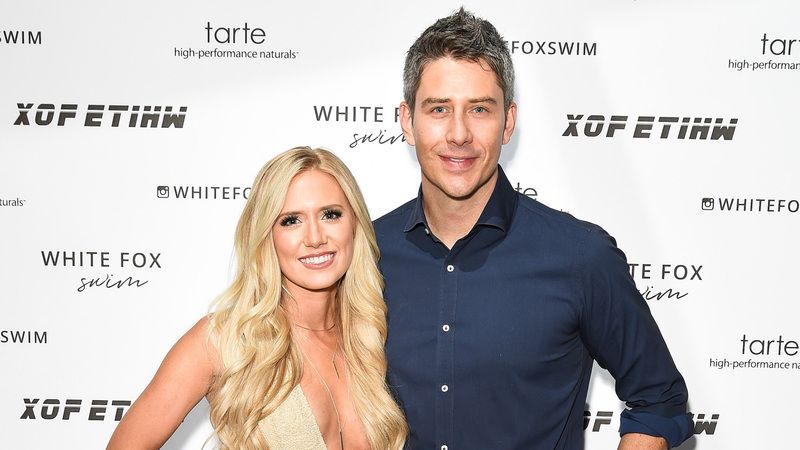 It would also seem that dad-to-be Arie Luyendyk Jr. — who can’t wait to meet his child, as he revealed in a recent Instagram Story Q&A session — is just as excited as we are. On Wednesday, the former Bachelor answered several questions from his followers about his engagement to Lauren Burnham and their impending parenthood, with sweet photos to accompany his answers. What Luyendyk opened up about may make Bachelor Nation fans see him in a new light. 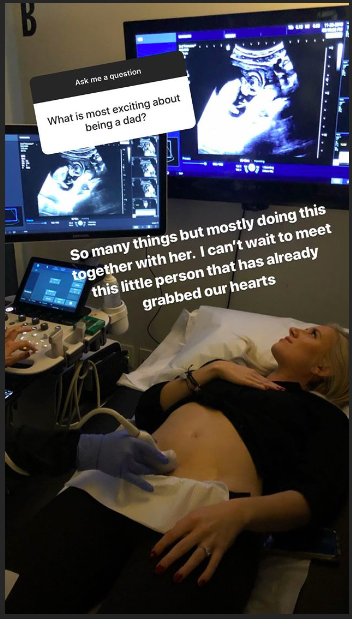 In addition to a countdown to the baby’s birth (Burnham’s due date is in May) and a link to the baby’s own Instagram account, which is currently being used to document Burnham’s pregnancy, Luyendyk also shared a sweet photo of Burnham at a recent ultrasound as well as a close-up photo of the ultrasound itself. According to People, Luyendyk and Burnham will officially tie the knot on Jan. 12 in Hawaii. The pair announced Burnham’s pregnancy via Burnham’s Instagram in November. Given that they are both active posters on the social media site, creating an account for their baby and keeping fans and followers updated on their parenthood journey on Instagram makes a lot of sense. 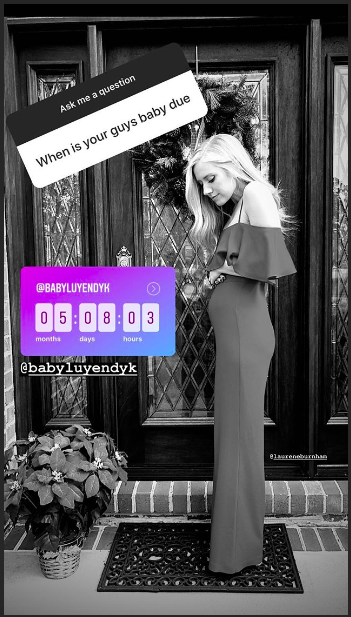 On Christmas Day, the pair posted a photo of Burnham posing in front of their home on Baby Luyendyk’s Instagram, where they revealed that at 11 weeks, the baby is the size of a turnip and has started moving around and kicking, which are important and exciting milestones.